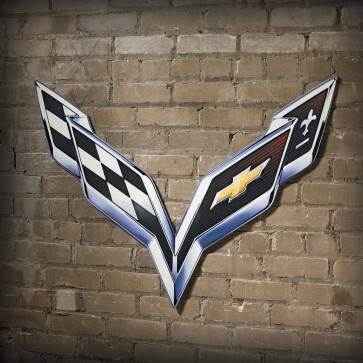 Crossed Flags Steel Sign - 40" x 27"
Add some Stingray attitude to your garage, office or man cave. 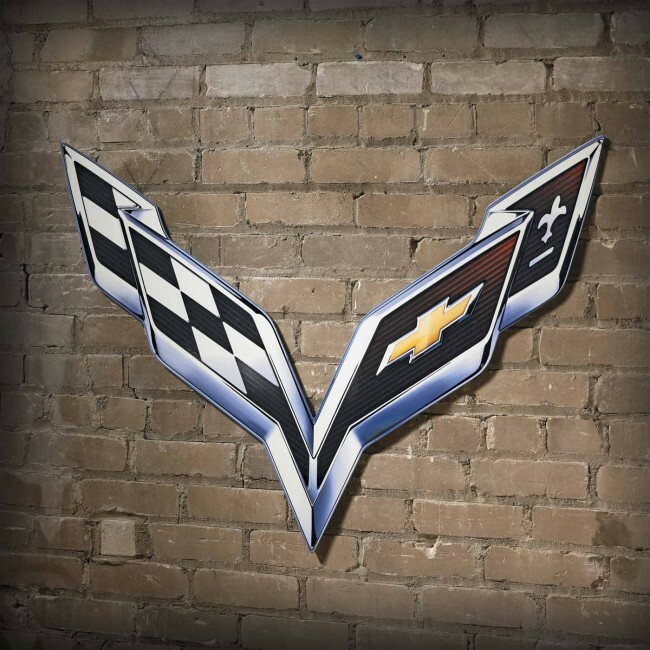 Beautifully crafted from heavy gauge metal, these premium wall signs will last for years. Made in the USA using a patented process that bonds high resolution color graphics permanently to a custom-shaped metal substrate. Pre-drilled holes for hanging. Crossed Flags Steel Sign | 24" x 16"